I can’t. I just can’t. There are no words that could tell you how deeply I loved this book. It was just as good as the first book, and that is saying a lot. Okay, I’m just going to tell you how it is. This is my first week of school (There’s still one subject that I don’t start until next week, but for the most part this was my first week of school. I’m homeschooled, you know how it is.). And it started off terribly. Monday wasn’t too bad, but I still didn’t finish stuff for the day and I worked on it most of the day (though I guess that you can blame a lot of it on having to read all these introductions to things). But the next day was kind of horrible. I got a good start in the morning, but had two meltdowns because I couldn’t figure things out. I finally gave up at 10pm when I just couldn’t do it anymore. I guess it could just be because it’s the first few days of school. I’m not so sure though. We sometimes get swept up by life. It just happens. If you’re like me, you’re a perfectionist and a overachiever. You pretty much set yourself up for failure in some cases. We get so busy busy busy. Our lives are so stressful and full of anxiety. And we never rest. We don’t stop to think, “Is this how I want to live my life, full of worry?” or “Am I focusing on what’s important?” Before we know it, months have passed and we’re worn out. We’re irritable. We haven’t read out Bible in who knows how long. We haven’t just really spent any any time with God. We’ve pushed Him to the side and placed other things (like schoolwork, writing, blogging, exercising, reading, etc.) as priority. We’ve put back burner. First off, let me just say that this was the most unique and most different written fiction book that I have ever read. It was beautiful and I fell in love from the start. Well, this month was insane. Most of the insaneness came from all the writing I did. 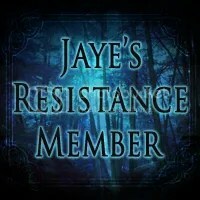 As most of you know, I did Camp NaNoWriMo this month. I was part of an awesome cabin. We got so many words done. I mean so so many. First off, I did about two thousand words a day. I started a new dystopian novel (though I haven’t even finished my fantasy novel). Just think anarchy, okay. Then you’ll have a good idea of what it is about. But when I started I didn’t really have a plot for the novel, so I decided to do a backstory for my main character because I had figured most of that out. And well, I’m still writing his backstory. So I think that it is going to be its own novel. Then something crazy happened. I can’t believe my cabin mates convinced me to do this. On July 18th I wrote TEN THOUSAND WORDS in ONE DAY!!! It was insane. I about died. I’d only ever written maybe three thousand in one day. I don’t even know how I did it. I started about five in the morning and then finished around eight in the evening. Then grandparents visited for about a week and I probably got about a thousand words that whole time. After that, in the last four days I managed to add ten thousand words. So I got a total of 60,169 words for my new novel and it is not yet close to being done (and it is only a backstory). Since I focused so much of my time writing, I read a pitiful amount of books this month. There were even days that I didn’t read anything at all. *gasps* I know. What happened?! The Wildcat of Braeton: I loved it! I’m sad now that it’s over. How can this be??? The Winner’s Crime: This was intense. So many lies and secrets. One slip and everyone could die. THAT CLIFFHANGER! The Winner’s Kiss: I liked how this ended. It was surprising and unexpected. It was just what I could hope for from a trilogy full of strategy. 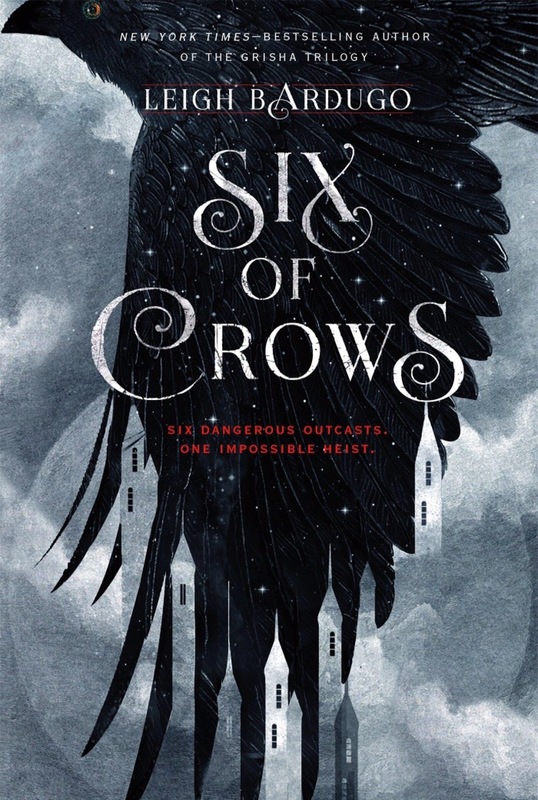 Six of Crows: This was so cool. A book about bad guys! Yeah, it was a cool twist on the normal type of story and I really enjoyed it. So you see, a pitiful amount. One Thousand Gifts: Again, I didn’t read any this month. In the Heart of the Sea: The Tragedy of the Whaleship Essex: This is very interesting and sad. It is amazing how many miraculous stories there are out there that are actually true. Well, I listened to a lot by The Flashbulb. It’s just electronic music that is really great to write to. And I’ve been listening to Hamilton almost every day. I am so very addicted. I love the story it portrays. I SAW GLADIATOR!!! AND I LOVED IT JUST LIKE I EXPECTED I WOULD. I flail about it here. Gah!!! I watched Star Trek Beyond the day it came out! It was so cool! I hadn’t even been expecting to see it. It was my first Star Trek movie that I’ve seen. I had watched a few episodes of the original tv show, but that was it for what I had see of Star Trek. But now that I saw the movie, I started really watching the show and I love it now. There was such epicness (Is that even a word?) like this. I finished the tv show Merlin! And now I understand why everyone’s upset at the ending. AGH!!! 😦 It was terrible. Then I saw Jason Bourne the day it came out too! The whole time I was in the theater watching it, I couldn’t stop moving. I kept uncrossing my legs or crossing them or tapping my foot or something. It was so intense. It was really good. Because everyone needs this gif. So yeah, I got to see quite a few good movies this month. How was your month? 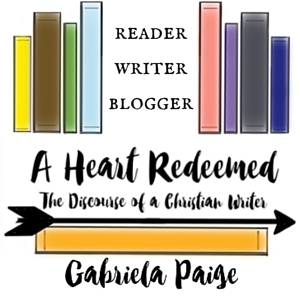 Did you do Camp NaNoWriMo? Did you see any of the new movies that came out? Tell me all the things! 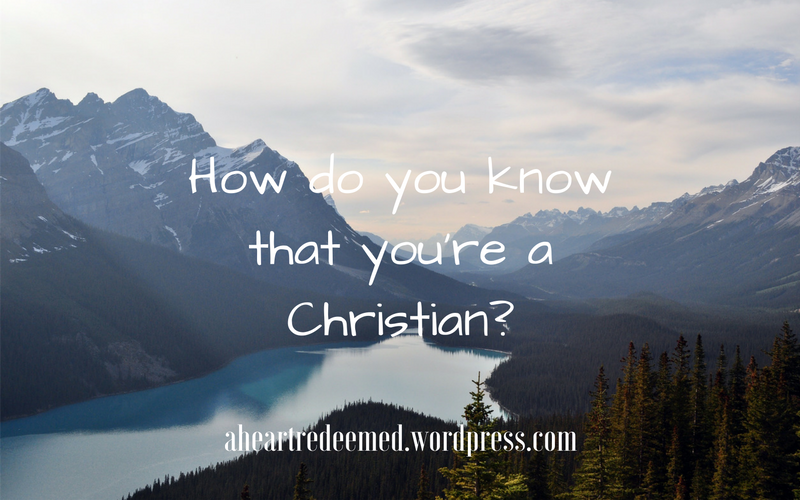 How do you know that you’re a Christian? This is a question that has been on my mind a lot. Not so much now as when I was younger, but it is still a question that I struggle with at times. I have let my fear and insecurities get ahold of me and I wonder, “Am I really truly a Christian? Or am I just some sort of fake?” It scares me how my mind can think that way, but I believe many other people struggle with it too. So, knowing if you’re a Christian is not as easy other…life commitments (that’s what we’ll call it). It’s not like signing a contract where once you put your signature down, you’re in. For most people, when you become a Christian, you don’t feel God entering into your heart. It’s not like a “pop” and then boom, you’re life is changed. Now maybe it’s like that for some people, but that’s quite rare. For me, and probably for many people, I don’t know the exact moment I was saved. I know I made the decision at church when I was six, but it could’ve happened before that or, more likely, after that. But how do you know that you’re a Christian? How do you know? One way is by your works. You really can’t believe in Jesus and then not have the works to prove it. Works, doesn’t mean that you’re forced to do things for God, or that it is like a chore: something you never want to do. No, if you’re a Christian, you’ll want everything you do to be for God. As a Christian, you’ll love God and you’ll want to serve. Why? Because He gave everything, even His only son’s life, for you. And we can’t ever thank him enough. Works also doesn’t mean that you need to sell all your possessions and go live in a hut in Africa, teaching God’s Word. Now, maybe that is some people’s calling, but it’s not everyone’s. You can do what God calls you to do right where you are. You wouldn’t be where you are if God didn’t want you there. But you can’t be a Christian just by good works. That, is not what makes you a Christian. Faith in God, is what makes a Christian, a Christian. But if you have faith, good works will follow along with it. So one does not come without the other. While you can’t necessarily “see” faith, you can see good works. So look back on your life, what do you see? If you’re not sure what you see, ask people who know you (like family). What do they see in you? You may say, “But people can do good works and still not be Christians.” Yes, that’s true. So if you are doing good works, you need to ask the question, “Why? Why are you doing good works?” Is it for selfish reasons? Or is it for God? These are hard questions. And sometimes we can’t see the answer clearly. Sometimes we just have to have faith in our faith in God. Trust in God. Have faith that you are in His hands. Know that if you love Him, He will always be with you.